Author Showcase … Featured genre: Mystery/Thriller/Suspense. Featured Author John W. Howell. – Welcome to the World of Suzanne Burke. Please welcome my guest, Author John W. Howell. My genre is Thrillers and I love to write stories that grab the reader. Since I write in the first person present tense my stories tend to unfold as the reader proceeds. I love the idea of having a plot point deviate in a different direction. A thriller is supposed to keep the reader guessing and that is what inspires me. When my reviews validate the fact that the story twists and turns I feel satisfied I’ve done my job. How much research was required before you began to write &did the characters then create more research by their actions? My research was extensive. My story is about boats, explosives, airplanes, and other subjects which are not part of my knowledge base. All these elements needed to be thoroughly researched before the writing began. As the characters began to have a voice in the story additional research was necessary in order to deliver what the character was demanding. How would you best describe your protagonist? John Cannon is a litigation attorney. He is as normal as a lawyer can be. He doesn’t have any special talents or survival skills on which he can depend when the going gets tough. He has a keen mind and the patience to wait until he is certain of an outcome before going into action. He also has a fondness for delicious coffee which puts him in good stead with the antagonist. Have you written or do you intend to write in other genres. I have completed a book in a genre that I would describe as Spiritual or Speculative fiction. It is due to be published in September. Is this novel a stand-alone or part of a series? I am currently working on another spiritual fiction novel and am working with a very talented collaborator. The story is about two spirits who are challenged to return to Earth with the objective of preventing a singular act that has the potential of destroying humanity. & 7. Hummm. I think the question I would ask is What advice would you give to someone who wants to be a writer? My advice is: 1. Write for the right reasons. If you get joy from writing then it is your thing. If you want to be rich or famous walk away. 2. Write every day. Set a goal and stick to it. The only way to become a better writer is to write. 3. Until your draft is finished, do not share it with anyone. Well-meaning folks tend to discourage new writers. A new writer does not need to have people question or evaluate the manuscript until it is done. Then the gates can be opened. 4. Do not edit or try to improve the manuscript as you go along. Finish it then go back. All writing needs editing. If the new writer does too much of it before the manuscript is done chances are it will never be done. John w. Howell’s FAVORITE AMAZON REVIEW. There are several key concepts to achieve when writing a novel from the first-person perspective, arguably chief among them is creating a character with a distinctive voice who the reader can not only “hear” as being an actual person but who is someone the reader would like to know in real life. Howell’s character John Cannon exemplifies these goals through his stream of consciousness inner monologues in which he reveals himself to be an ordinary man with everyday concerns and fears, not some superhero with radioactively-induced mutant gifts that the average reader can only have described in graphic novel imagery or with incomprehensible technical jargon. Cannon is a man not unlike ourselves who, though in the end having some high-level support, is put into a position where he is the only person who can connect the dots and prevent a terrorist attack. In addition to the crafting of the protagonist himself, the plotting of “My GRL” is to be commended. Unlike the thrillers produced by the major publishing houses, “My GRL” provides a true to life reveal of the big picture where the reader, seeing the world through the eyes of John Cannon, learns every detail in tandem with the man who by the end of the novel would become a hero. More than just an exciting read, as a piece of literature, “My GRL” proves the worth of independent publishing in allowing Howell to provide a quality storyline that willfully neglects the formulaic in the interest of pulling the reader directly into the middle of an exciting, ever-developing, complex plot. The Other books in the series. Author John W. Howell may be reached on the following links. Thank you for stopping by. My next featured author this month is Mae Clair. Author Showcase: Featured genre this month Mystery/Thriller/Suspense. My guest today is Author Mae Clair. I look forward to your author showcase, Suzanne! I enjoyed reading more about John. “My Grl” was one of the first books I read when I joined RRBC! I really want to get back and finish this series. I liked the first person present, which I’ve never tried doing yet…but I found a very in the moment way to present a story and make it exciting. Good advice on writing and editing, too! Your new book sounds intriguing, John! Thank you, DL. I appreciate the words and visit. 😊Thanks so much for stopping by, DL. Your support is so much appreciated. I really enjoyed learning more about John and how he writes. I have My GRL and plan to start with this book shortly. I love John’s blog, particularly his ten things not to do posts which give me a really good giggle. Thanks for the visit, Robbie. Hope you enjoy My GRL. 😊 Hi, Robbie! I’m glad you enjoyed the feature. I too am a big fan of John’s blog. Nice showcase of your work, John. Great feature to add Soooz, they’re pretty interesting. 😊 Thanks, Craig! I’m delighted you enjoyed the post. 😊 How kind of you to reblogg this post, John. I’m delighted you enjoyed it. I’ve read John’s entire John Cannon trilogy and loved it. Each book ups the action and intrigue until the reader is constantly gnawing fingernails and eagerly flipping pages. John, in reading this interview the one item I found truly amazing is that you had no knowledge about boats, explosives, etc. I remember thinking (as I read the series) how informed you were in those areas. Your research really paid off because everything came across highly realistic. Well done! I can attest this is a gripping trilogy. As someone who doesn’t care for a lot of research, really admire the effort you put into yours, John. I agree with Mae – highly realistic! 😊 Thanks, Teri. I too am an big fan of John’s work. Thank you for the Showcase Feature Soooz. It was fun and I appreciated being a guest today. 😊 My pleasure, John. You know I am a huge fan of your work. And I of yours. *Smooch. 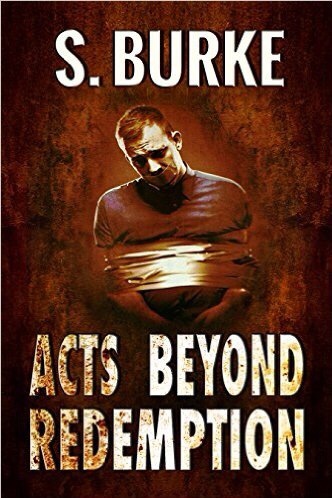 Suzanne Burke has a Feature titled “Author Showcase.” She is featuring Mystery and Thriller authors all month. Today, she did me the honor and I want to thank her. Thank you, Soooz. Her blog is worth a visit for a number of fun events. (((Hugs))) John! My pleasure. I’m so excited to learn that you will have another book out in September! Can’t wait. 😊 Understand completely, John. I too have another book almost completed and ready to be edited. Taking on a new genre is a challenge, my friend. But I have no doubt you will nail it! I look forward to release day. Thank you, Soooz. Good luck on yours as well. Another fabulous showcase, Soooz! This is another series I’m looking forward to. 😊Thanks so much, Natalie. It’s always a pleasure to feature such talented authors. congratulations to this fine portrait! Now we know much more about you as an author visiting us regularly. Of course we were curious. Unfortunately we haven’t read one book of yours yet – but that will change. Siri and Selma are already ordering your books in the net. 😊Thanks so much for stopping by today and offering your support. Congratulation to John W. Howell on this great review. Great interview. Looking forward to the next book, John! Lovely interview of a really good writer! Great showcase, John! You look good in the spotlight. “Write for the right reasons. If you get joy from writing then it is your thing. If you want to be rich or famous walk away.” Amen! Hello, Jill! Thanks so much for stopping by. John and his marvelous talent deserved to be featured. Check out this great feature on author John Howell from Suzanne Burke’s blog. Great interview Soooz and John. Great to hear about your work in progress, John.